I think because the ingredients are so very, very simple – eggs, milk, and a few dashes of spices – the taste and texture of the bread matters. You need a loaf of what my family calls “good Italian bread”, which is (wait for it while I make this super clear) crusty, but not too crusty…dense, but not TOO dense…hefty, but also kind of light and airy…but not light and airy like the squishy soft-on-the-inside-and-the-outside cheap supermarket kind. I think you know what I’m talking about…but if you don’t, and you kind of want to smack me, I’m happy to report that I’ve also made French toast with a stale crusty baguette, the aforementioned squish-squish $1.99 loaf, and many things in between and it’s always delicious. I’m just saying in an Ideal World, wherein you Planned Ahead To Make This, that’s the kind of bread you’re after. 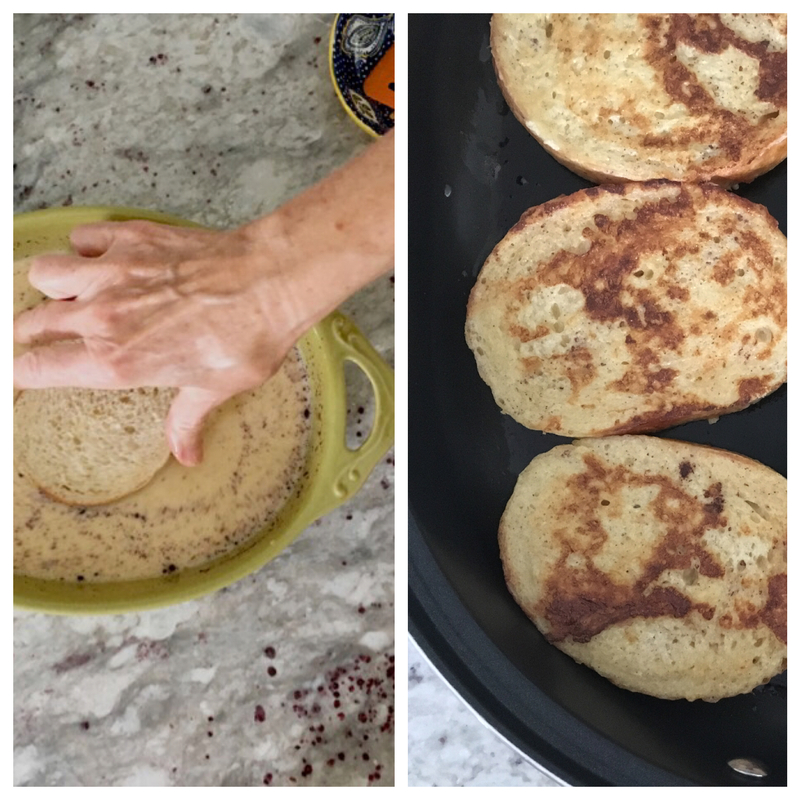 My mom is the source of this French toast recipe, and she doesn’t actually measure anything – she just mixes it up. The “recipe” I had jotted down from her consisted of things like 1 egg + 1 “blup” of milk per person. I’ve been making it that way for years now, but you can’t publish a recipe like that…so recently she made it while I took these pictures and we measured everything and got a lot of extra measuring cups dirty. YOU’RE WELCOME. 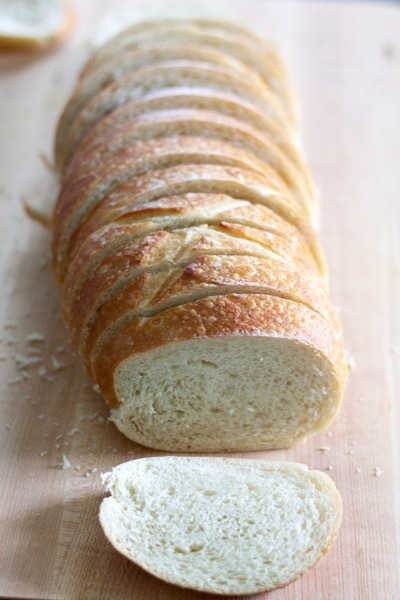 So: slice up your gorgeous loaf of bread into thick slices – about 3/4 of an inch. I feel compelled to admit that this is a loaf of French bread from Costco. It was perfectly fine, although a little heavier than the “good Italian bread” described so eloquently nonsensically thoroughly above. Then you whisk up eggs, milk, vanilla, cinnamon, nutmeg, and a pinch of salt. I like to use a flat-bottomed casserole dish to make it easier to dip the bread slices. Then each slice gets dipped on both sides into the egg mixture and settled into the pan or griddle. 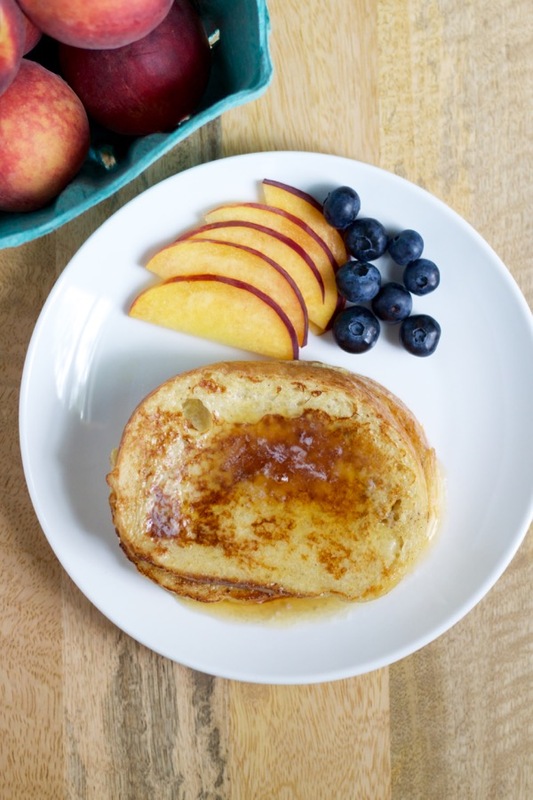 Cook the French toast with a mixture of oil and butter, or oil and bacon grease to add another layer of flavor! Serve your French toast with more butter (obvi) and a drizzle of maple syrup. It has such amazing contrasts – chewy/soft/caramelized, sweet/brown-buttery-salty. Goooood morning! Yield: 4? Maaybe 6? - I don't know, I can eat a lot of French toast! Place a large skillet over medium heat, or preheat a griddle to 325*. 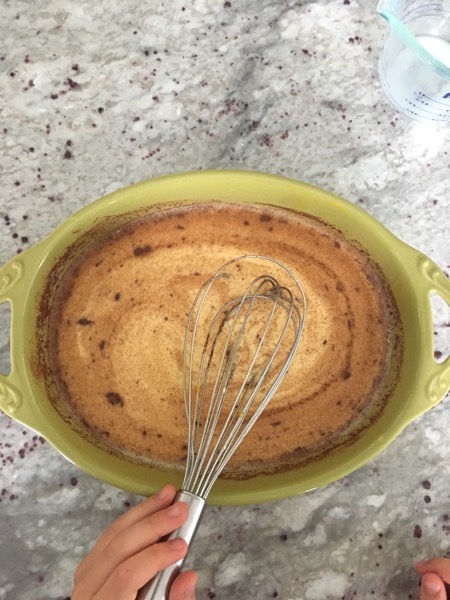 Whisk the milk, eggs, vanilla, cinnamon, nutmeg, and salt in a flat-bottomed dish, like a 2-quart casserole dish. Add about 1 Tablespoon of oil to the pan and allow it to heat up, then melt in about a teaspoon of butter or bacon grease and swirl them together. Dip a slice of bread into the egg mixture, briefly dipping it on both sides, then lay it in the pan. Repeat until the skillet is full. Cook about 2-3 minutes, or until golden brown, then flip the slices and cook 2-3 minutes more, until the second side is brown. Repeat with remaining bread and egg mixture, adding more oil and butter to the skillet with each batch or as needed. 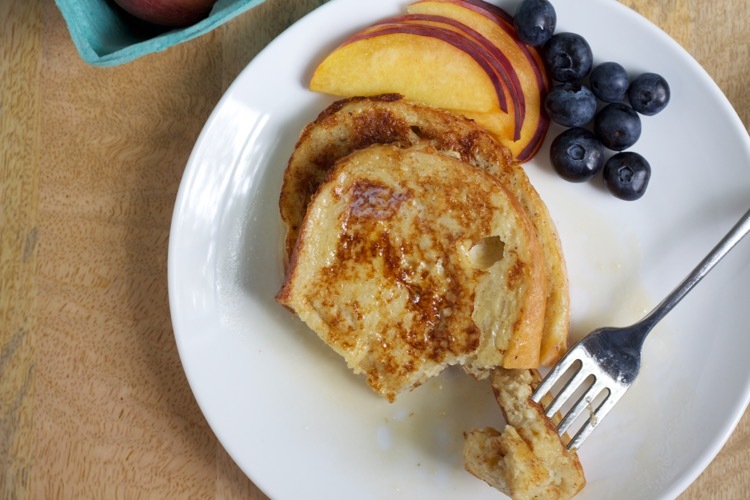 Serve french toast immediately, with butter and maple syrup! What my family calls “good Italian bread” is somewhere in the middle of the crusty–squishy scale, somewhere in the middle of the airy–dense scale, and has good flavor on its own. However, you can use any bread you like! Ooh, and you have Publix so you can get their Italian bread! Do itttt! ???? I can’t even handle that!!! Especially since I made it for JUST MYSELF every day of the 41st week of my pregnancy with L! ???? This evening was my inaugural French-toast-making experience. Pretty easy. ??? ?